Home / FIRST-LOOK PHOTOS / Steve Carell spotted with a new look! Transformed into a magician! Steve Carell spotted with a new look! Transformed into a magician! 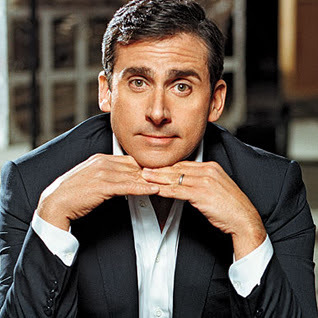 Steve Carell, known for his role in the hit US television sitcom, The Office, and several other movies such as the 2005 comedy, The 40-Year-Old Virgin, the Bruce Almighty spin-off, Evan Almighty, and voicing the evil father in the 2010 hit animated film, Despicable Me, is back in yet another surprising role of his career. Steve Carell is currently filming (and producing) the movie Burt Wonderstone, a comedy about magicians, with Steve Buscemi as Anton Lovecraft, Burt's magician partner, and Jim Carrey as Steve Gray, a rising street magician and the threat to Burt's magician career. Splash News via Yahoo! 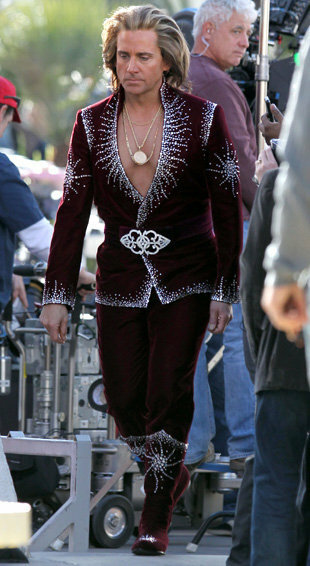 Movies released a photo of Steve Carell as a magician during the film productions of the movie Burt Wonderstone. Below is the said photo of Steve Carell as Burt Wonderstone like you never seen him before. Photo courtesy of Splash News. Burt Wonderstone is intended to be shown on 2013. Looks very promising!